A nine cylinder radial engine. 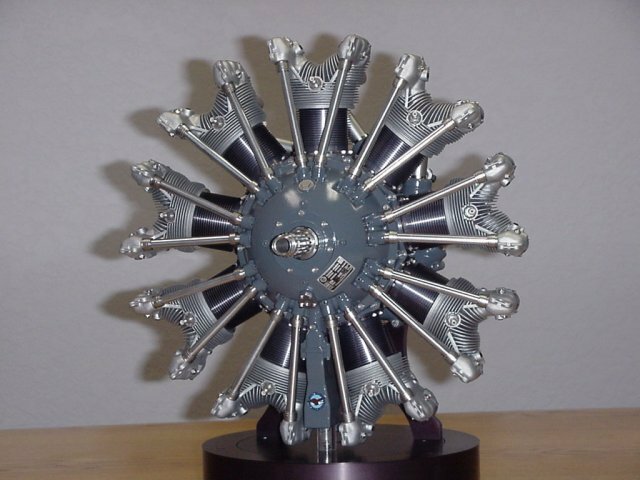 It's a faithful replica of an actual Pratt and Whitney Wasp Jr. aircraft engine. I've recently been in contact with the builder of this, and other motors, he has a web site dedicated to miniature engines. He tells me that the motor is 1/4 scale, and measures 12.5 inches diameter overall.